Our public transport and non-scheduled passengers will accompany our most popular places on the lake increased. The numerous points of embarkation more dispersed over the entire lake will reach any tourist destination of Lake Maggiore you requested. The modern and comfortable ferries and speedboats ensure safe navigation, and timely economic, multilingual team skills will make your experience even more impressive. Arona and 'center artigianle well known, commercial and tourism, encouraged by the proximity to large urban areas. The oldest part of town is open on the infamous Piazza del Popolo on which stands the church of the Madonna di Piazza. Also well known internationally, the statue of San Carlo Borromeo, a native of Arona and San Carlone said: one of the most impressive statues in Europe this huge giant copper (also visited internally) with its twenty meters from the hill overlooking. The old town, tradition and culture of the past, major hotels and the beautiful lakefront. Today 'sophisticated resort town, home to major cultural events (such as the annual edition of the "Stresa Festival"), of national conferences and international meetings. During the traditional destination for many tourists Pascqua Jewish Israelis. This splendid location overlooking Lake Maggiore, also famous for its pink granite quarries, is a destination of many mid travel of foreign tourists especially during the summer fill the many campsites in the area. His infamous lake-garden, which offers stunning views of the Borromeo Gulf and up the inlet on the Lombardy side of Laveno, and affiliates around the world. The provincial capital is the city with the highest number of accommodation. The imposing city dock manifests the vocation that this city has always had for having a navigation service for the transport links that connect the main car Lombard coast to the Piedmont. Being closely linked to the art of gardening, is home, during the flowering of many events dedicated to camellias, azaleas, orchids and tulips. This town is in a beautiful lakeside venue for numerous events and historic residences and presitgiose class. Do not miss the Historical Museum of Art and Landscape Verbano (built in 1909), and the collection of sculptures and casts Paul Troubetzkoi, the wrinkle with its eighteenth-century buildings. Continuing along the coast from Pallanza to Switzerland and meet the beautiful gardens of Villa Taranto prestigious body. This complex is one of the richest botanical gardens of Europe that began nearly a century ago with a massive renovation, the park has a wide variety of plant species including avenues, flowered terraces, waterfalls, a pond, etc.. Resort very popular due to the extreme proximity to the border area, notorious for its mild climate that facilitates the cultivation of plant species typical of the Mediterranean area as olive and citrus trees. From this renowned resort town has two rocky islets emerge with the evocative ruins of the famous castles of Cannero. Home to major international hubs, Cannobio is the first country that the tourist meets on the Italian side of Lake Maggiore. Cannobio has recently enhanced and made even the prestigious lakefront apiù making it even more unique and fascinating. For water quality and the positive environmental characteristics, Cannobio has been awarded the "Blue Flag", a prestigious international award. Laveno is between the towns of the Lombard shore overlooking Lake Maggiore, one of the most famous and visited. 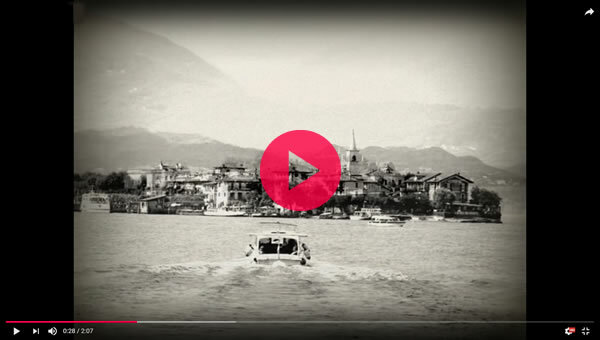 The lakefront Laveno retains a traditional flavors and culture where manufacturing still plays important role aun, this is the home of the great complex of Richard Ginori Italian Ceramic Society. Also remember an event not to miss the festivities of Ferragosto lavenese. On the evening of 15 the water of the Gulf is home to a spectacular fireworks laveno exceptional. On this occasion our transport service through the many motorboats line offers passengers the opportunity to watch the show from the point of view of atmosphere. Note well-known ski resort residence and the border area, Luino is home to industrial and commercial activities of ancient tradition. Here is held every Wednesday, the famous and crowded market, the Emperor Charles V established by special decree of Hapsburg in 1541, and considered the oldest market in Europe. The most impressive symbol of the town of Anger is the Rock, which developed spectacularly along the rocky cliff. The fortress owned by the Borromeo family during the tourist season is invaded by many tourists eager to explore the immense charm offered by this ancient fortress. For several years, moreover, the building 'headquarters of the interesting Doll Museum, a collection of about two hundred dolls and toys from the private collection of Princess Bona Borromeo. Museums and gardens with their styles and their peculiarities leave you stunned.